Don’t let good parents be turned into criminals. Good parents will be turned into criminals. Police and social workers will be flooded with trivial cases leaving them struggling to stop genuine child abuse. Parents should decide whether to smack their children, not the government. The current law already protects children from abuse. It needs to be enforced, not changed. Should parental smacking of children be a criminal offence? ComRes interviewed 1,010 Scottish adults online between 21 September and 2 October 2017. Data were weighted to be demographically representative of all Scottish adults aged 18+. "Good Parents Are Not At Risk From A Change In The Law"
It has been argued that ‘trivial’ smacks would not be prosecuted if the law is changed. But why create a criminal offence if it is never going to be enforced? The reality is that once the defence of ‘reasonable chastisement’ is removed any chastisement, however minor, will break the law and risk prosecution. It will inevitably catch ordinary parents, labelling them child abusers. "Smacking Is A Form Of Child Abuse"
The current law already protects children from abuse. Reasonable chastisement is not to ‘attack’, to ‘beat’ or to ‘abuse’. Reasonable chastisement is not harmful or degrading. It is one form of loving discipline. "Children Should Have The Same Protection As Adults"
Because children are not adults the law treats children differently in many different ways in order to protect them. Children are not allowed to drive, marry or own a firearms licence. Nobody claims this is ‘unfair’ or ‘unequal’ and it would be just as inappropriate to apply this argument to smacking. Children may also be confined to their bedrooms, required to eat their vegetables or have to go to bed at a particular time - ‘restrictions’ which would not be applied to adults. "Smacking Teaches Children To Use Violence"
Some 85% of Scottish adults were smacked as children. They are law-abiding citizens. Reasonable chastisement helps to train children to know how to behave, to set clear boundaries and to equip them for adult life. It has its basis in the unique relationship between parents and their children. Reasonable chastisement is a part of loving parenting. "Smacking Is A Grey Area In The Law - It's Safer To Just Ban It"
The present law is clear that ‘reasonable chastisement’ is acceptable and it is working. Banning smacking would only divert resources away from protecting abused children. The Scottish Government should concentrate on improving awareness of the current law, rather than seeking to abolish it. 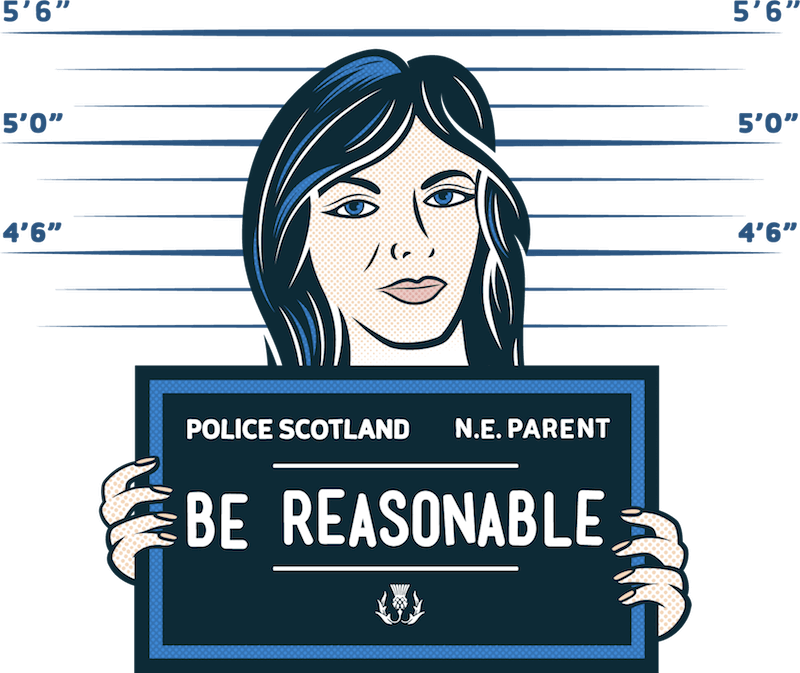 Currently parents in Scotland are protected from being charged with assault if they smack their own children under the ‘reasonable chastisement defence’. MSP John Finnie’s Private Member’s Bill proposes to remove this protection. The Scottish Government has said it will support his Bill. Does the law need to be changed? No. Any punishment that is immoderate or excessive is already deemed “unjustifiable” and therefore against the law. The legislation specifically outlaws blows to the head, shaking, or the use of an implement. Parents found guilty of assault can be imprisoned for up to five years and face an unlimited fine. *By providing your postcode you enable us to send you information relevant to your local area.